After doing a little research on this age old question, Southwest Trailer Leasing would like to offer you the following tips. There are many different benefits to both options. We have outlined a few of them to help you make the best decision. Good for people with limited capital. Good for business that want to upgrade their equipment regularly. Businesses with limited capital can access equipment more readily. Lease payments are often times tax deductible. Businesses with poor credit can often times acquire leases more easily than opposed to purchasing. It may end up costing the business more in the long run. You do not build equity on rented equipment. Positive for owners with more capital. Better for those businesses buying equipment that has longer, more usable life. Tax breaks are available for some purchases. “Section 179 of the Internal Revenue Code allows you to fully deduct the cost of some newly purchased assets in the first year (“Business Equipment”). Often times these purchases can tie up cash flow and hinder businesses from qualifying for other loans. Equipment gets old, and eventually needs replaced or it becomes obsolete, and no one appreciates getting stuck with an old piece of equipment that holds no value. According to numerous sources, it is best to first consult with the tax laws to see which option is best suited for your business. After you familiarize yourself with some basic tax incentives and breaks, it becomes easier to conclude whether owning or leasing is best for your company. When asked, James Wright, CEO of Southwest Trailer Leasing, which is best in his mind, he said it is not as easy as one may think. You have a number of things to consider, one of the more important points is a company’s ability to stay fluid. Mr. Wright stated, “Operating leases free up your ability to borrow money because the operating lease is not reflected on your balance sheet and you get to expense the entire lease payment.” On the flip side “if you purchase equipment that is directly reflected on your balance sheet”. In today’s market, having flexibility allows companies to make quick changes in a fast paced market and change to customer’s needs. It’s clear that the decision is purely situational and requires a detailed analysis of your needs and your company’s abilities. 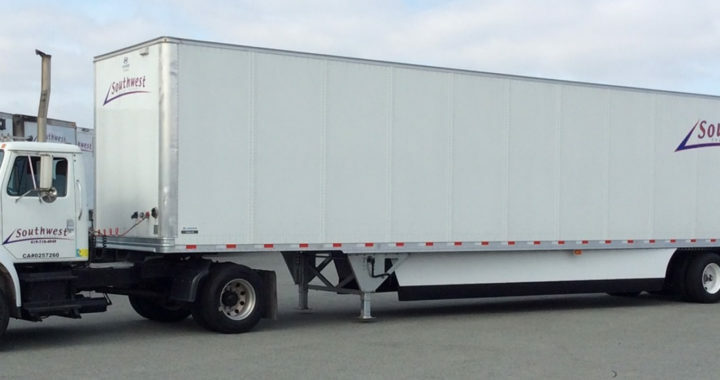 We feel at Southwest Trailer Leasing, often the most valuable service we can provide to our customers is helping them through this process of buying or renting semi trailers. Even if you don’t rent or buy from us, we want to help you make the best decision possible and will always offer our expertise to those who call in and give us their time. Posted in Southwest Trailer Guides and tagged trailer buying, trailer renting.